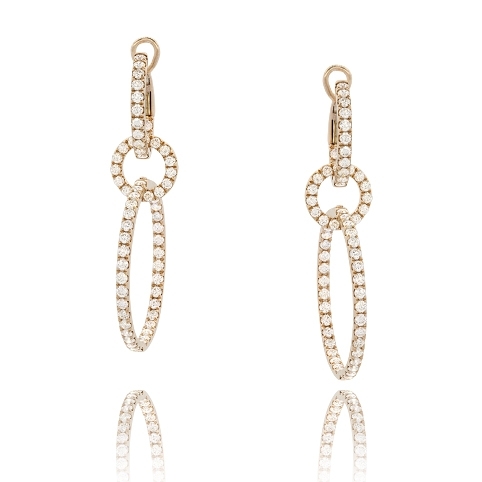 Dangle earrings with interlocking diamond loops mounted in 18k white gold. Diamonds approx. 7.03ct. Earrings 2.75"